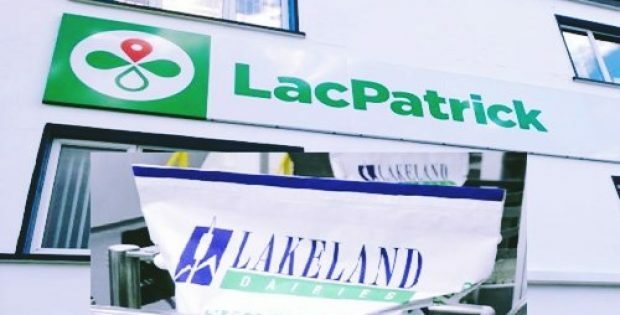 Renowned Irish firms Lakeland Dairies and LacPatrick Dairies have recently announced their merger in the wake of the unanimous approval of their respective boards. Apparently, the merged unit is reported to be dubbed as ‘Lakeland Dairies’. As per the sources familiar with the matter, the proposal will be presented before the companies’ stakeholders for their votes at a Special General Meeting scheduled on October 23. Upon the successful completion of the merger, the new farmer-controlled co-operative will stand as the second largest dairy processor in Ireland with an annual turnover of more than EUR 1 billion. The merged unit, as per the sources with the knowledge of the development, will have a supplier base of 3,200 milk dealers and a combined milk pool of some 1.8 billion liters. For the record, both the dairies are neighboring co-operatives operating on a cross-border basis with a major export of their output to the global markets. Andrew McConkey, Chairman of LacPatrick Dairies reportedly backed the merger stating that the decision is in favor of its milk suppliers, customers, and shareholders. He further added that combining the capabilities of both the dairy firms gives the farmers the security to make long term business decisions and ensures their stability and progress. As per reliable sources, Michael Hanley, the present CEO of Lakeland Dairies will be taking the charge as Group CEO of the merged farmer-controlled dairy co-operative. He said that the merger is a step undertaken in the best interests of the farmers and the merged entity will create a much diversified and efficient farmer controlled dairy food group with a large portfolio of value-added brands and products. Allegedly, the talks about the merger between the two dairies commenced last June. The final decision regarding the merger is subject to regulatory approval, cite reliable sources.